Sure, first dates can be nerve-racking, but they’re the first step to getting to know someone a little better. A date that has equal parts active and relaxing sounds like the perfect date to us! To get ready for a casual first date, think comfort—which will translate into confidence. 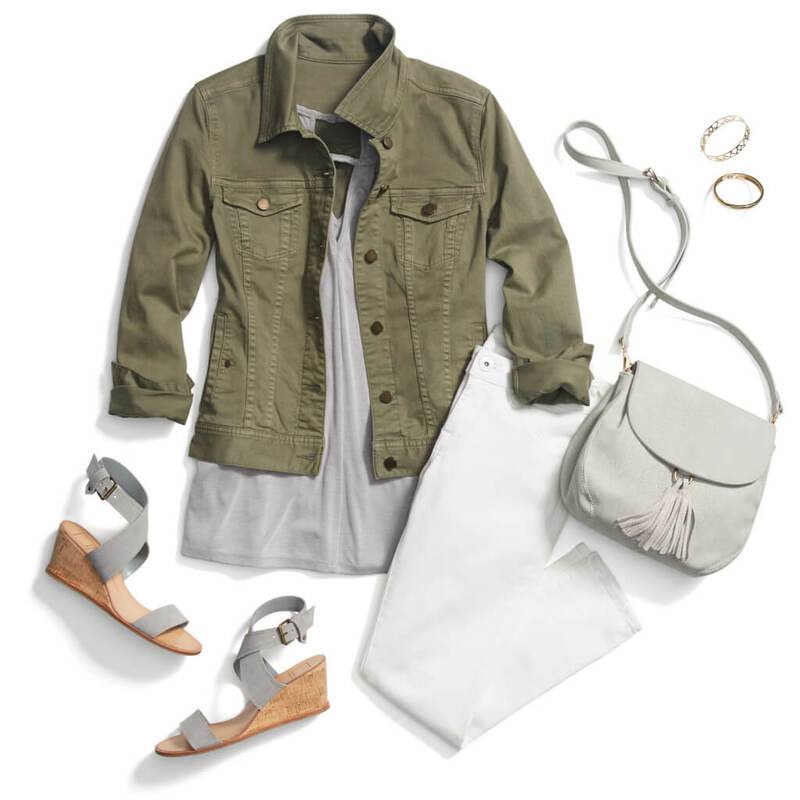 If you’re a gal that loves a neutral color palette, look no further than a staple cargo jacket. No matter the season, white denim is a must. Just be careful not to spill any ketchup on them! Throw on a fringe bag and run out the door! For another trend du jour, consider an off the shoulder top to give off a casual, romantic vibe. More at ease in the bohemian end of the style spectrum? 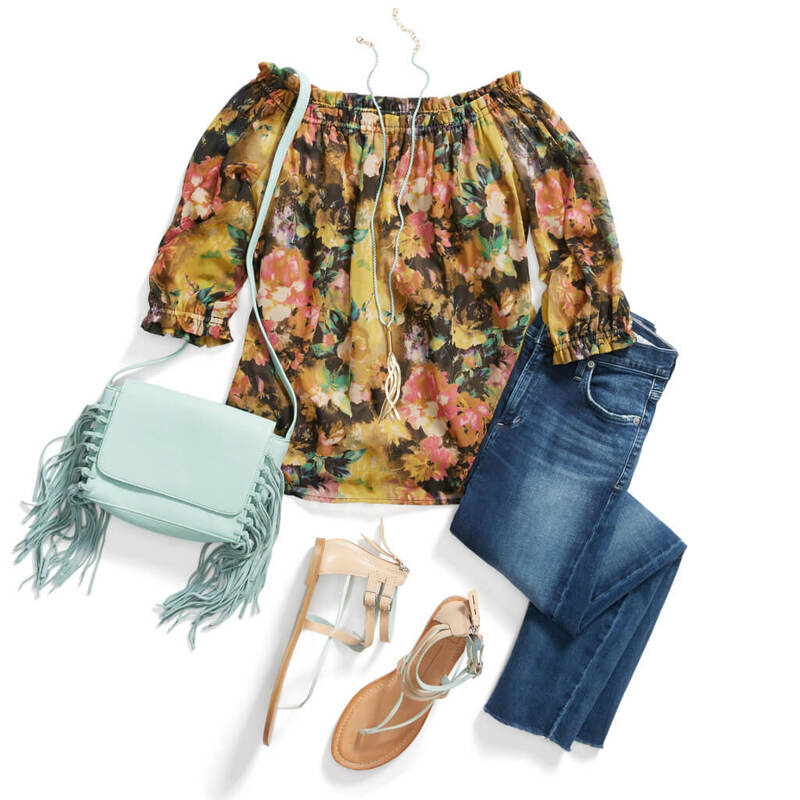 Try a flow-y peasant top that offers great movement. Just make sure to balance the volume of the top with some skinny jeans. Stripes are a no-brainer for any occasion—whether it’s a five-star dinner reservation or a night at the movies. For a more active date, pair them with your four-way stretch jeans and your favorite white sneakers. If you’re planning on staying seated for most of the date (movie night, anyone? ), slip into a pair of black pumps. Have fun on your first date! Don’t forget to bring a pack of mints and your favorite lip balm along. You never know how great the date will be!